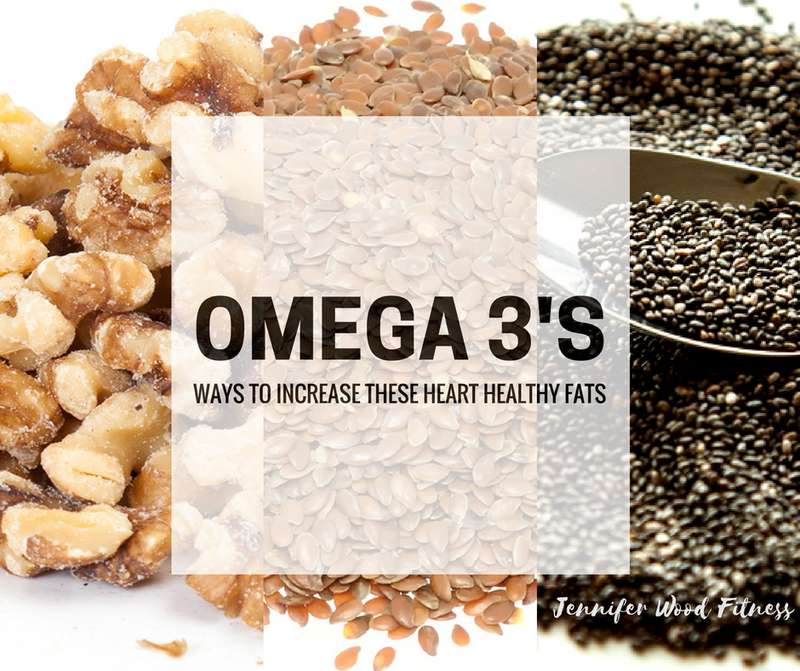 Do you need to increase your Omega 3's? 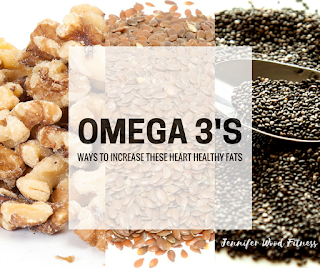 Try adding these to your diet to boost those heart and brain healthy oils! I like to add chia and flax seeds to my daily smoothie for an easy way to boost my Omega's. You can also add ground flax meal, chia seeds or chopped walnuts to yogurt. I love to make fresh berry yogurt parfaits - just add about 1/4 to 1/2 cup berries, 1/4 - 1/2 cup greek plain yogurt, a pinch of stevia or honey, and a tablespoon or two of ground flaxseed, and a few walnuts, pecans or almonds, chopped! It's so good. 1. Chia seeds - powerhouse seed! And they keep you full longer. 3. Walnuts - greatest way to increase your good Cholesterol HDL! Are we friends on Facebook? Add me :) I love making new social media friends. I share more tips, recipes, motivation, inspiration and real life struggles on my page. Email me @ jenniferwoodfitness@gmail.com if you are looking to get started in one of my online support accountability groups. Let's chat! I take the time to talk to you and make sure we get the right tools in place for you!